A visual who's who of all the world's creatures. 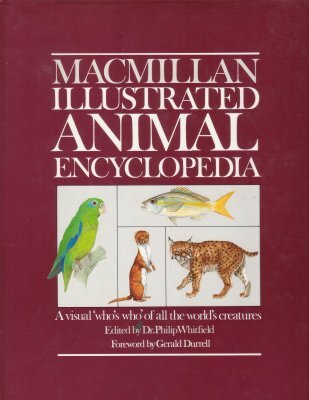 Nearly 2000 animals covered (mammals, reptiles, birds), all color-illustrated in minute & beautiful detail. Every species includes its: common & scientific name, conservation status, geographic location, size & physiology, breeding & feeding habits. Color illustrations accompanied by text highlighting the similarities and differences of various animal groups. 600 pgs. It authoritatively catalogs the world's most important irds by family, and illustrates more than 700 representative species in minute and beautiful detail. Each full color painting is accompanied by text highlighting the essential details such as: common & scientifc name, canservation status, geographic location, size & physiology, & breeding & feeding habits. 224 pgs. Descriptions of the animals and their behavior, alongside concise information on where best to see them. 250 species, National Parks & reserves brought up to date, ecology & conservation, photographic tips. Over 200 color photos. 138 pgs. Over 300 hybrids listed, fertility & commercial qualities where known, subspecific crosses, with an index of species and a bibliography of more than 600 titles. This pocket nature guide is a comprehensive introduction to the mammals of the US & Canada, enabling the observer to identify the species most likely to be seen in the wild. 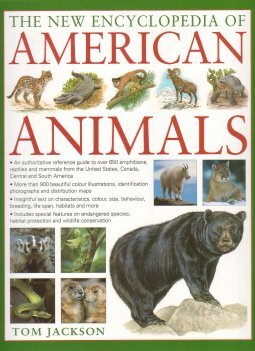 Superb full-color illustrations of over 180 species of the more common mammals of North America with expert text highlighting key identification characteristics, range, habitat, food, breeding & conservation. Encased & spiral bound in a weatherproof cover for the roughest of outdoor use. 192 pgs. Pocket size reference manual of the familiar American mammal species. Full color illustrations, brief information about each species, and distribution maps. 160 pgs. Simple identification & information guide to anyone who wants to identify, understand, & enjoy the field mouse scampering through the leaves or the squirrel on a branch overhead. Technical details, such as description of skulls, are left out. 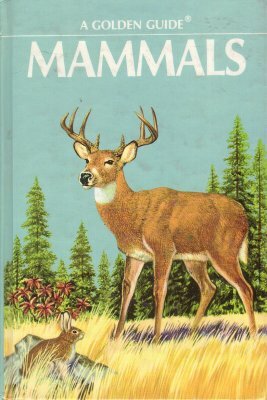 The book covers 218 of the 350 species of mammals found in the US & adjacent Canada with information on: Habits and habitats, family trees, raising young, foods, enemies, and more. Color plates help you recognize & identify the animal in its natural environement. Includes range maps. 160 pgs. 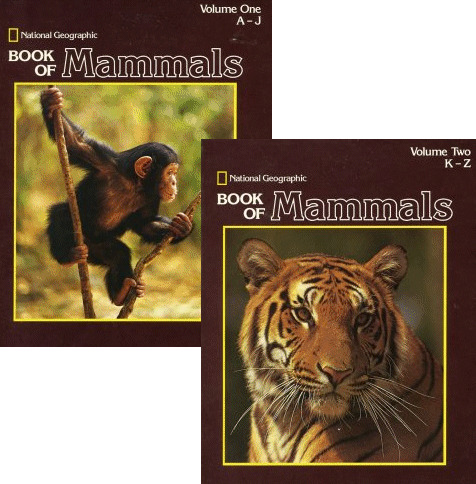 Pocket size identification & information guide to the most common species of mammals, with superb color illustrations and photographs. 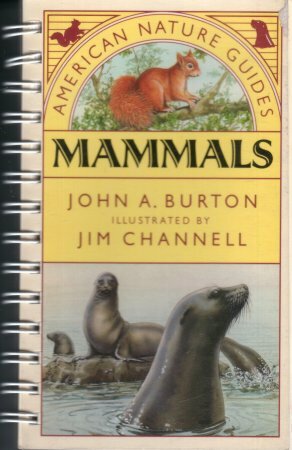 Mammals covered include: Monotremes, marsupials, anteaters & armadillos, insectivores, bats, primates, carnivores, cetaceans & sea cows, elephants, ungulates, aardvark & pangolins, rodents, lagamorphs. 320 pgs. Wildlife adventure stories & technical guide. Describes 115 species; each species has a one page adventure story about that species, then the following the story is technical information such as: scientific name, family, order, size, weight, color, distribution & status, food, reprodcution & growth, along with other remarks. Each species describes contains a full page color painting by Dwayne Harty. 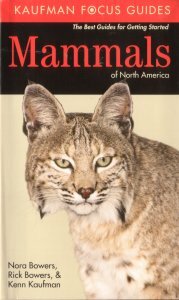 Also includes distribution maps, North American mammals checklist, & an additional reading list. 360 pgs. Contains accurate, visual protrayals of the highest quality, together with a summary of important available information, including distribution maps for each of a number of selected species. Covers: black bear, brown bear, raccoon, red fox, timber wolf, cougar, canada lynx, woodchuck, eastern chipmunk, red squirrel, eastern flying squirrel, beaver, cottontail rabbit, whitetail deer, muskox, & bighorn sheep. Beautiful full color sketches. 36 pgs. 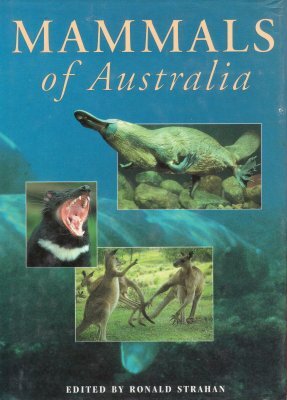 Compiled by the Australian Museum from the National Photographic Index of Australian Wildlife, this is a magnificent photographic record, this book provides an account of every native species as well as introduced species now living in a wild state. Each specias account summarizes behavior & habitat, diet, reproduction & growth, & factors that lead to death. Covering everything that is know about an animal's current biology & survival status, the book presents detailed statistical information alongside the fascinating & peculiar details of the animals' lives. Color photos, range maps. 756 pgs. Identification & information guide. B/W photos, color illustrations.110 pgs. by: Russell E. Mumford & Jo Whitaker, Jr. 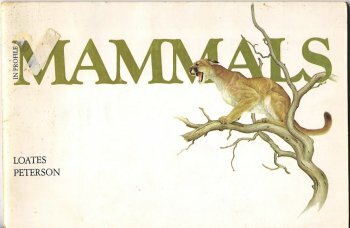 Identification & information guide to the mammals of Indiana. 537 pgs. Deer, antelope, raccoon, felid, canid, porcupine, beaver, squirrel, opossum, and more. 280 pgs. Both a field guide and a reference work, this book is the first comprehensive account of all 250 species of mammals recorded in Nigeria. The first part describes each species in detail with information on distribution, identification, status, ecology, reproduction, and taxonomy, with keys provided for easy identification of each species. Following chapters consider the ecological relationships of Nigerian mammals, zoogeographical patterns and ecological trends, and interactions between humans and mammals. 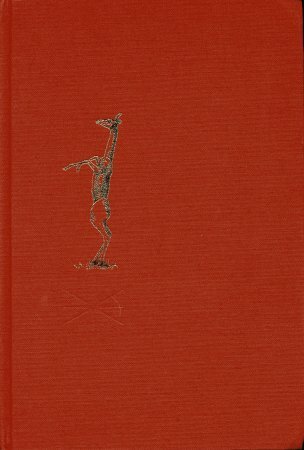 Written with a minimum of technical terms and filled with photographs, drawings, and maps, this book is a fascinating and useful work for anyone intererested in African mammals. 420 pgs. Brilliant images, lively text, and accurate maps-your best guide to North America's magnificent wild mammals. 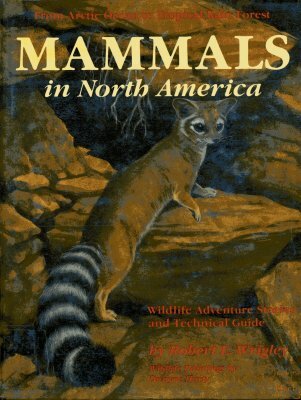 The guide covers every species of mammal known to occur in North America and its offshore waters, including naturalized exotics-450 speices in all. The more than 1,100 photographs have been selected and digitally edited for clarity. With a pictorial table of contents, a one-page index, and color tabs sections, Mammals is organized for quick and convenient use. Range maps on text pages show where each species is common or rare. Different color phases and variations are shown for certain species, as well as images of the males, females and young of most species. (Sample page of Foxes is shown) 350 pages. 96 species covered including 27 kinds of antelope. Contains: descriptions, breeding, diet & habits. 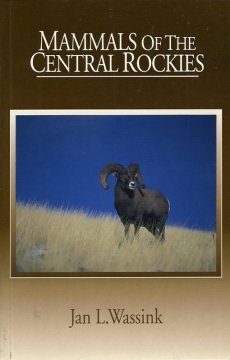 Wildlife watchers will enjoy this guide to the mammals of Colorado, Wyoming, Utah, and Idaho. It places each animal in its ecological "niche" by providing insights into its daily life - what does it eat? where does it den? how does it survive the winter? Includes full-color photos of over 50 species & tips on when & where to look for each animal. 161 pgs. by: Hamilton, William J. Jr. & Whitaker, John O. Jr.
Key to orders of Eastern Mammals: Marsupialia (Opossums), Insectivora (Moles & Shrews), Chiroptera (Bats), Edentata (Armadillos), lagomorpha (Hares & Rabbits), Rodentia (Rodents or Gnawing Mammals), Carnivora (Flesh Eating) and Artiodactyla (Deer). Includes a description along with accounts of their habits and distribution. 346 pages, B/W photos and illustrations. Identification & information guide of mammals in African parks. Written in English & African text. Color illustrations. 166 pgs. Camel, donkey, oryx, goat, sheep, gazelle, fox, cats, bats, hedgehogs, dolphins. Captured on film by the region's top nature photographers, mountain lions, wild javelinas, coatimundis, and forty-seven other amazing southwestern mammals prowl the pages of this easy-to-use handbook. 99 pgs. Definitive guide to the mammals of the South West Pacific extending as far east as the cook islands. It contains comprehensive information for each of the species and in most cases this is coupled with great photos for their identification. Color photographs & illustrations, distribution maps. 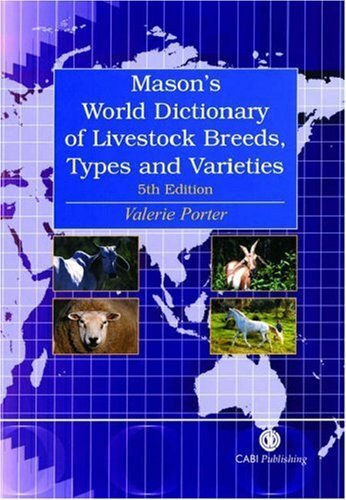 This is a new edition of Mason's standard reference text, and contains key breed information about cattle, sheep, pigs, goats, horses, asses and buffalo. It contains approximately 11500 entries and cross-references, on breeds, sub-breeds, types, varieties, strains and lines of these species. The aim is to include all the livestock names that may be encountered in international literature. Each entry includes the recommended English name; region or country of origin and notes of usage; brief physical descrption of the breed in terms of colors/markings, horns or coat type; relationships with other breeds or types; historical notes; breed societies; herdbooks; foreign names & synonyms.Dictionary style format. 380 pgs. Contents: Locomotion; Food & Feeding Habits; Home, Territory & Home Range; Defense & Protection; Sexual Life & Reproduction; Development & Longevity; Migrations; The Social Life of Mammals; The Structure & Dynamics of Natural Populations. B/W photos & illustrations. 400 pgs. 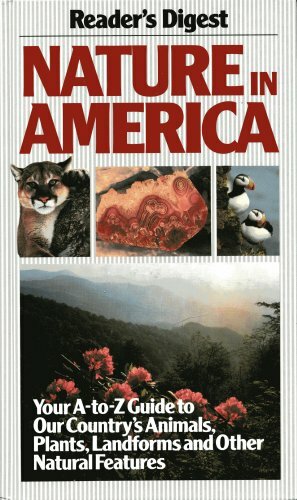 A-to-Z Guide to our country's animals, plants, landforms & other natural occurences. In 456 beautifully illustrated, fact-filled pages that delve into all aspects of the great outdoors, Nature in America does the work of a whole shelf of ordinary nature books. The core of this authoritative reference guide is an encyclopedia of nature in North America. 1,200 entries. 1,000 full-color photos and illustrations. 456 pgs. A full color-illustrated guide to neotropical rainforest mammals. A total of 315 species & genera are covered in idividual accounts; all species accounts retained from the first edition have been updated; all 195 maps present current info on distribution and geographic range of each species; 29 beautiful color plates illustrate more than 220 species (including significant color variants between males & females or adults & young). Mammals covered include: opossums, anteaters, sloths, armadillos, bats, monkeys, carnivores, rodents. Color plates, range maps. 307 pgs. 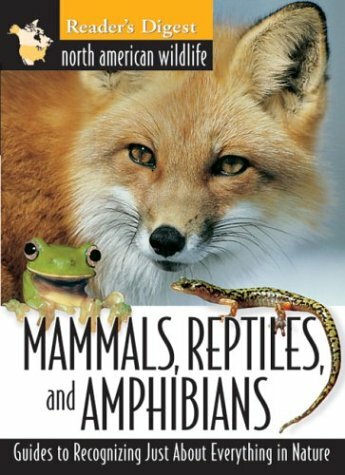 An illustrated guide to over 650 amphibians, reptiles and mammals of the United States, Canada, Central and South America, detailing distribution, habitat, food, size, life span and conservation status. Insightful text on characteristics, color, size, behavior, breeding, life span, habitats & more. Includes special features on endangered species, habitat protection & wildlife conservation. More than 900 beautiful color illustrations, identification photographs & distribution maps. 256 pgs. Covers 135 important game species of U.S., Canada & Northern Mexico and their habits. Detailed, specially drawn full-color illustrations of 230 species of mammals, 300 reptiles, and 200 amphibians in natural, realistic settings. At-a-glance identification capsules pinpoint behavior patterns, field characteristics, coloring, habitat, and more. 191 pgs. An illustrated guide to 2,00 plants and animals of North America. Color illustrations of every species. 576 pgs.